For most aspiring women, there’s a time to be young, there’s a time to grow your career, and then there’s a time for motherhood. For Serena Williams, quality sleep is key if you want to meet or exceed all the expectations that come with being a female role model, as well as, being a first-time mom. 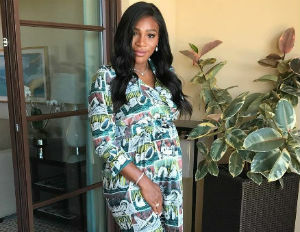 The 23-time Grand Slam tennis champion is currently raising awareness about the power of rest in the new “Tempur-Pedic Sleep Is Power” campaign, her first major endorsement since announcing her pregnancy last month. In April, the 35-year-old revealed on Snapchat that she’s pregnant by accidentally revealing her baby bump. On Mother’s Day weekend, Williams showcased an even bigger bump halfway through her pregnancy on her Instagram account. So how does she keep her batteries charged given all the new demands on her time? “I require consistent, restful sleep in order to be at my best,” said Williams through a spokesperson. She also reveals that she’s been a Tempur-Pedic owner for a decade, which helps her power up for a rigorous training regimen. On average, Americans get 6.8 hours of sleep per night, short of the seven to nine hours that people need, according to the National Sleep Foundation. Many folks just assume that the demands of being an athlete are too much for a new parent. But that seems more myth than fact. A 2017 study by Tend Lab finds that moms and dads actually outperform non-parents. Secondly, Williams is known for her positive attitude on and off the court, and that should translate well in her effort to become the best tennis player of all time. A 2010 study by British economists finds that happy people tend to work harder than others. Williams has said that she plans to return to the sport in late 2017 with an eye toward winning a record 25 Grand Slam titles and beyond. It’s not unprecedented for mothers to conquer the tennis world. Australia’s Margaret Court won three of her record 24 Grand Slam championships after giving birth in 1972. Belgium’s Kim Clijsters won the US Open in 2009 and 2011 after having her first baby in 2008. But Clijsters has said that it’s much tougher to win a Grand Slam after childbirth because of all the changes a woman’s body goes through that makes it tougher to move laterally on the tennis court. And Clijsters was 26 when she returned while Williams will be 36. Williams is engaged to Reddit’s Alexis Ohanian and their baby is due in late summer to early fall. It’s safe to say that all eyes of the sports world will be upon her to see if she can make tennis history. It was also just announced that Williams has joined the board of SurveyMonkey—a startup that offers a platform for creating online surveys. Author Chanel Martin is a certified Life Purpose Coach and Brand & Media Exposure Coach. She helps entrepreneurs turn their purpose into profit and get brand exposure. A co-founder of two haircare companies, her brands have gained national exposure with media outlets such as MSNBC, Forbes, Essence, Ebony, BET, Business Insider, The Real, and more. Chanel also teaches companies how to raise funding for their small business or non-profit. You can learn more about her by visiting her website: www.chanelemartin.com.